What is Purchasing Power Parity (PPP)? 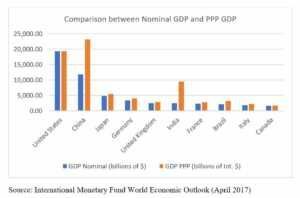 The concept of Purchasing Power Parity (PPP) is required to make multilateral comparisons between the national incomesGDP FormulaThe GDP Formula consists of consumption, government spending, investments, and net exports. We break down the GDP formula into steps in this guide. Gross Domestic Product is the monetary value, in local currency, of all final economic goods and services produced within a country during a specific period of time and living standards of different countries. 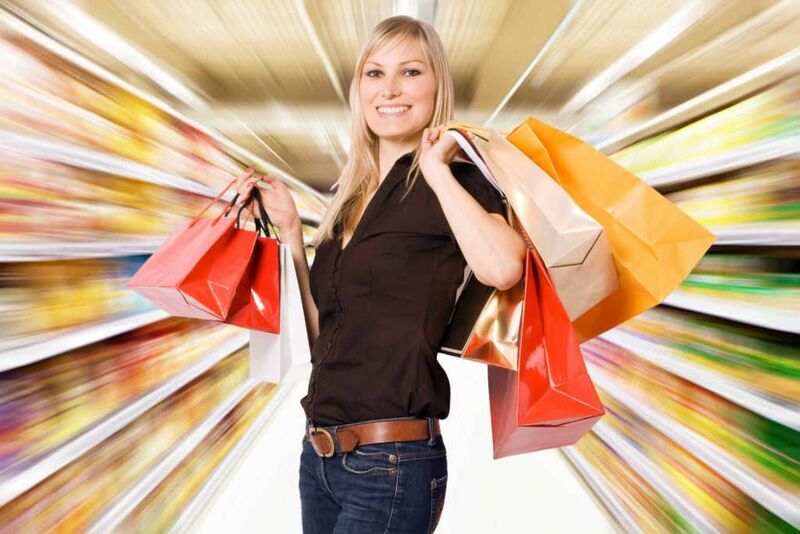 Purchasing power refers to a basket of goods and services one can buy with a unit of currency. Thus, the PPP between two countries implies a unit of currency in one country will buy the same basket of goods and services in the other, taking into consideration price levels in both countries. A PPP ratio measures deviation from the condition of PPP between two countries and represents the total number of the baskets of goods and services that a single unit of a country’s currency can buy in another country. Thus when PPP holds, this measure will be equal to unity. The concept originated in the 16th century and was developed by Swedish economist Gustav Cassel in 1918. The concept is based on the “law of one price,” which says similar goods will cost the same in different markets when the prices are expressed in the same currency in the absence of transaction costs and other trade barriers. One may argue that the market exchange rateForex Trading - How to Trade the Forex MarketForex trading allows users to capitalize on appreciation and depreciation of different currencies. Forex trading involves buying and selling currency pairs based on each currency's relative value to the other currency that makes up the pair. can be a measure of deviation from PPP. However, the exchange rate between two countries typically is determined by the supply and demand forces of the traded goods, services and assets; the prices of non-traded goods are not taken into consideration, which leads to inaccuracy while comparing living standards. An example will make this clearer. Let the US dollar be equivalent to 60 Indian rupees (1$ = ₹60). An American visits India and goes to the market. She buys 10 cupcakes with ₹120 and remarks, “Cupcakes are cheaper here!” In the US, she buys 10 similar cupcakes for $3. Now, $3 = ₹180, which means 15 cupcakes in India! So, the PPP ratio of the exchange for cupcakes is $3 = ₹120, that is, $1 = ₹40. However, since cupcakes are not traded, the market exchange rate does not incorporate the fact that they are “cheaper” in India. Likewise, all non-traded goods are not represented in the market exchange rate in the two countries. As in this case, it is generally seen that the official exchange rate will understate the living standards of the developing countries. This is because developing countries tend to achieve factors of production, e.g., unit labor costs are generally lower, which results in the non-traded goods being mostly cheaper (the Balassa-Samuelson effect, Bhagwati-Kravis-Lipsey, among others provide different explanations regarding the price differential between traded and non-traded goods). As a country develops, it is generally believed that more goods will be traded and the gap between the PPP exchange rate and the market exchange rate will diminish. Therefore, PPP ratios serve as real exchange rates and help in making more meaningful comparisons of living standards in different countries. Large differences in inflation rates across the globe make it impossible to accurately compare and measure the relative outputs of economies and their living standards. PPP-based variables are in real terms, thus allowing comparison. The following diagram shows the difference between GDP measured in nominal terms and PPP-based GDP, based on latest estimates. PPPs play a vital role and are preferred in the analyses carried out by policymakers, researchers and other private institutions, as they do not show major fluctuations in the short run. In the long run, PPPs somewhat indicate in which direction the exchange rate will move as the economy develops further. The general method of constructing a PPP ratio is to take a comparable basket of goods and services consumed by the average citizen in both countries and take a weighted average of the prices in both countries (the weights representing the share of expenditure on each item in total expenditure). The ratio of the prices will be the PPP rate of exchange. Indexes like Big Mac Index and KFC Index use the prices of a Big Mac burger and a bucket of 12/15 pieces, respectively, to compare living standards between countries. These are moderately standardized products that include input costs from a wide range of sectors in the local economy, which makes them suitable for comparison. Although it is widely used, PPP ratios may not always portray the real standard of living in countries for the following reasons. The underlying expenditure and price levels that represent consumption patterns may not be reported correctly. It is difficult to construct identical baskets of goods and services while comparing dissimilar countries as people show different tastes and preferences, and the quality of the items vary. The prices of traded goods are mostly never seen to be equal too, as there are trade restrictions and other barriers to trade, which result in deviation from PPP. Fiscal PolicyFiscal PolicyFiscal Policy refers to the budgetary policy of the government, which involves the government manipulating its level of spending and tax rates within the economy. The government uses these two tools to monitor and influence the economy. It is the sister strategy to monetary policy. Become a certified Financial Modeling and Valuation Analyst (FMVA)® by completing CFI’s online financial modeling classes!